In this romantic drama combining notions of reincarnation and fate, a young director and actress rehearsing different plays in adjacent classrooms of St. Bonaventure School in the autumn of 2018 find themselves inexplicably drawn to one another. Is it merely mutual attraction, or is it something deeper, more mysterious-a possible reconnection of old souls whose past lives were tragically cut short 100 years earlier? 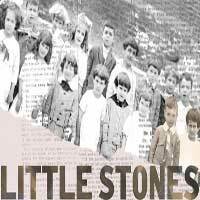 Combining neighborhood history with New Age sensibilities, Little Stones is a made-in-Chicago fable of karma, theatre and the 1918 flu pandemic.